A Conversation with Maurice Sendak The giant of children's literature talks with Jennifer Ludden about his craft and his early influences. 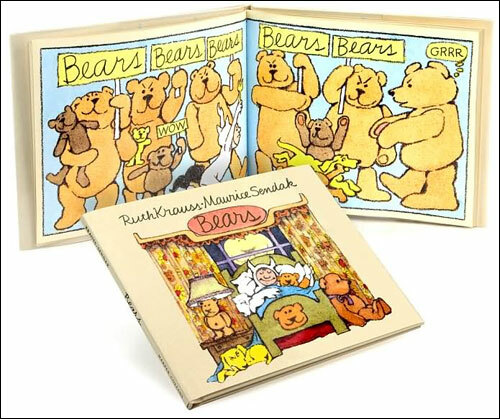 His latest book is a re-illustration of a 1948 work by his mentor, Ruth Krauss, called Bears. 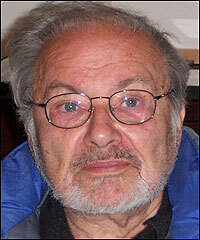 At 76, Maurice Sendak still has that glint in his eye. Web Extra Audio: "I've spent my life growing up..."
Max, one of the most endearing characters in children's literature, is safe abed surrounded by friends. His favorite subject? "Scaring children." His most treasured possessions? Mickey Mouse memorabilia. His best buddy? 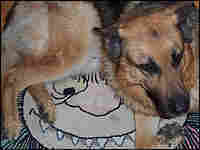 A boisterous German Shepherd named for Herman Melville. This is Maurice Sendak at 76, as Jennifer Ludden found after a trip into the New England woods to interview the famed author and illustrator of books for young readers, best known for 1964's Where the Wild Things Are. 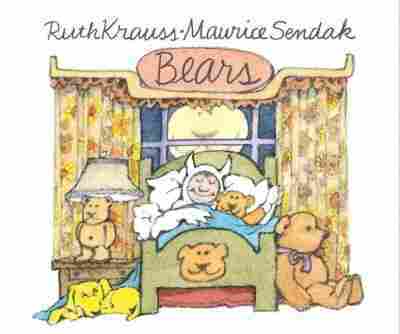 "Maurice Sendak looks kinda like a Wild Thing," Ludden notes. "Curly hair on a balding head... a glint in the eye... yet a softening smile around the mouth." But Sendak's latest published work isn't scary at all. 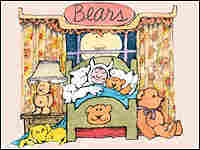 It's a re-illustration of a 1948 book by one of his mentors, Ruth Krauss, called Bears. The drawings put Max, the hero of Wild Things, in slightly friendlier surroundings. But he still finds himself in the middle of an adventure. Krauss, best known for The Carrot Seed and husband Crockett Johnson, creator of Harold and the Purple Crayon, met Sendak at 22, after he had suffered a series of rejection from publishers. 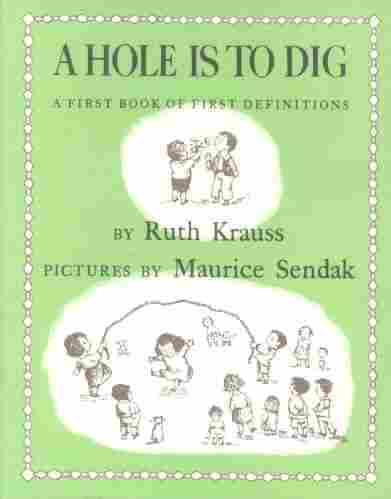 His big break came through illustrating the Krauss book A Hole Is to Dig. The little volume of definitions features a softer, simpler Sendak. Alice Winkler produced this piece.